We found Mama Cassie at an animal control. She was emaciated and so pregnant that she was about to pop! The shelter is no place to have babies, especially for a dog as malnourished as Mama Cassie so she became a part of The Devoted Barn. While at the vet she was estimated to be having 8 puppies which is already a lot. About a week later she ended up having 12! It is very hard for a dog as neglected as Mama Cassie to take care of that many babies and even with supplemental bottle feeding we lost two of the runts. If that wasn’t enough, Mama Cassie and by default her whole litter caught kennel cough at the shelter. It was a long, hard battle with kennel cough. Several of the puppies developed pneumonia secondary to the kennel cough. However, we are happy to say that we ultimately won the battle and Mama Cassie's pups are finally available for adoption! 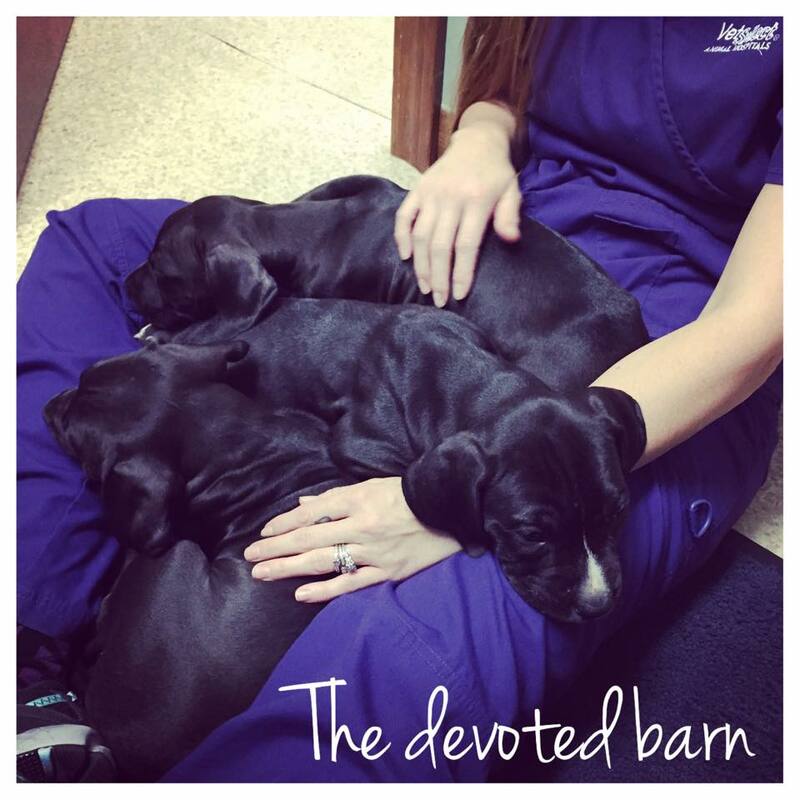 All of the puppies have been given a clean bill of health thanks to our awesome vets! Cassie's puppies are super playful. They love to run around and play with all their toys. They have been working hard in their foster homes on potty training now that they are healthy but they still have some work to do. 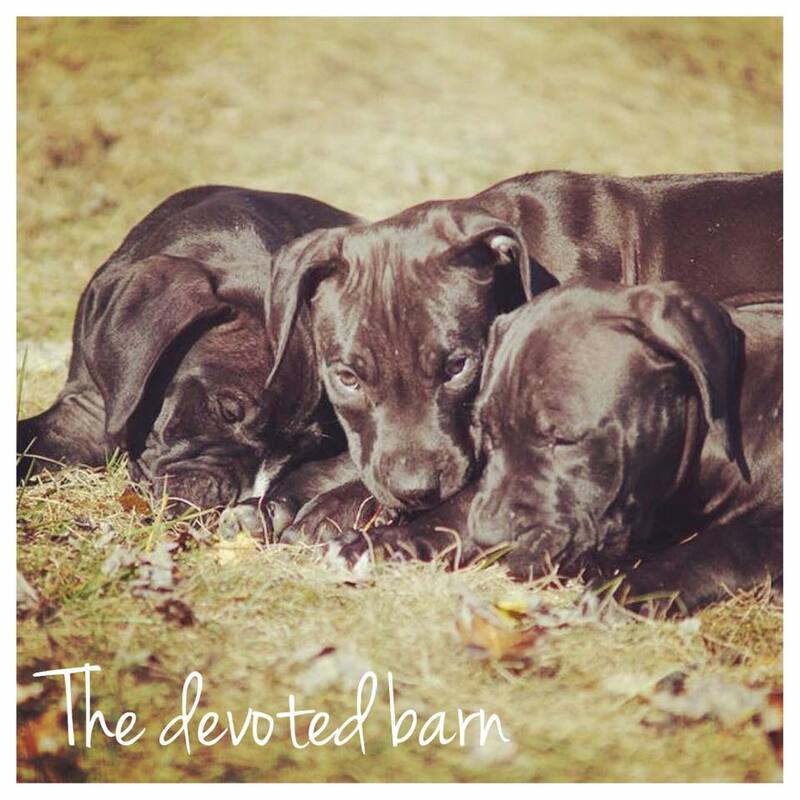 They share their mama's super sweet temperament and are great with kids and other dogs. Some of them have not been cat tested but as with most puppies they can easily be taught how to properly interact with your feline family members.